A major renovation programme at the 17th Century Bulls Head, Alton, is nearing completion with the installation of a stunning oak bar and a state of the art wood and gas fired pizza oven from Italy. 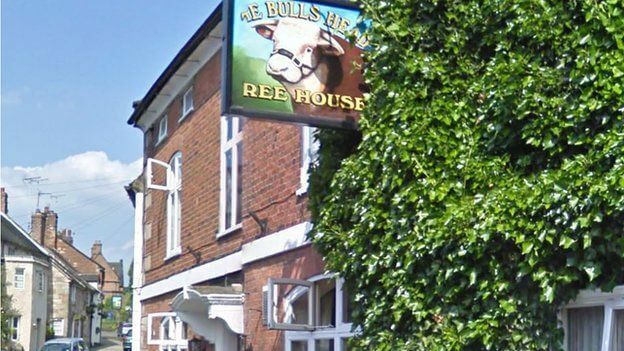 James and Gemma Miller are lovingly restoring the Bulls Head having bought the pub in High Street, Alton, last year together with the neighbouring former Co-op shop. An extensive refurbishment project has seen the Grade Two Listed building carefully restored and the bar and beer taps are in, ready for a late spring opening. Now beer enthusiast James is putting together an extensive and exciting list of craft beer bottles and cans, catering for a growing thirst for new beers among pub-goers. “It is the pub where I was first a regular, so I’m probably living many a pub enthusiast’s dream,” said James. “There’s a major trend towards craft beers and we will be bringing that to Alton with a bottle and can range from new and established breweries from the UK, USA and Europe. James expects the Bulls Head to be open by June when pubs across Alton are coming together for a village wide beer festival. “The renovation programme has had its challenges,” admitted James. “Once we stripped away the plaster we unearthed several structural issues and we have basically had to rebuild parts of the pub from the inside out. “It is Listed and we have paid great attention to detail when replacing the windows and renovating the brickwork. It is all taking shape now that the bar is in place. “A feature of the pub will be home cooked pizzas and we have chosen a dual wood and gas fired oven which is being shipped from Italy. The upstairs part of the building has been reconfigured to create a family home for the Miller family. There will also be three B&B rooms and offices for James’ well-established Miller Commercial Insurance Brokers’ business.